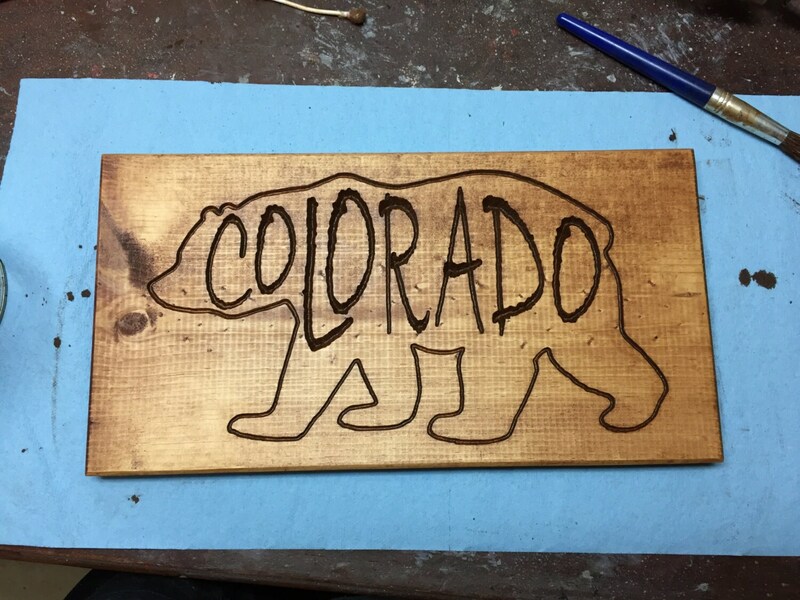 CNC-carved, hand finished Colorado bear sign. We can also change the inside of the bear to say whatever you want. 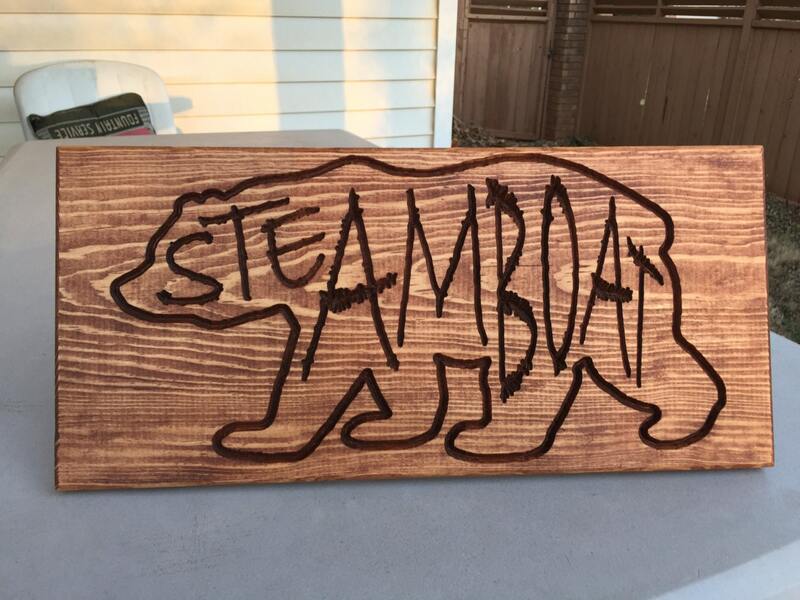 Carved into pine, the sign measures about 7.5" tall by about 14" wide. On the back is a keyhole slot for easy wall hanging on a nail or screw, plus a groove that holds a dowel rod in case you want to display the sign on a tabletop. Sign can be stained in a multitude of colors.